I’ve been super busy as of late. 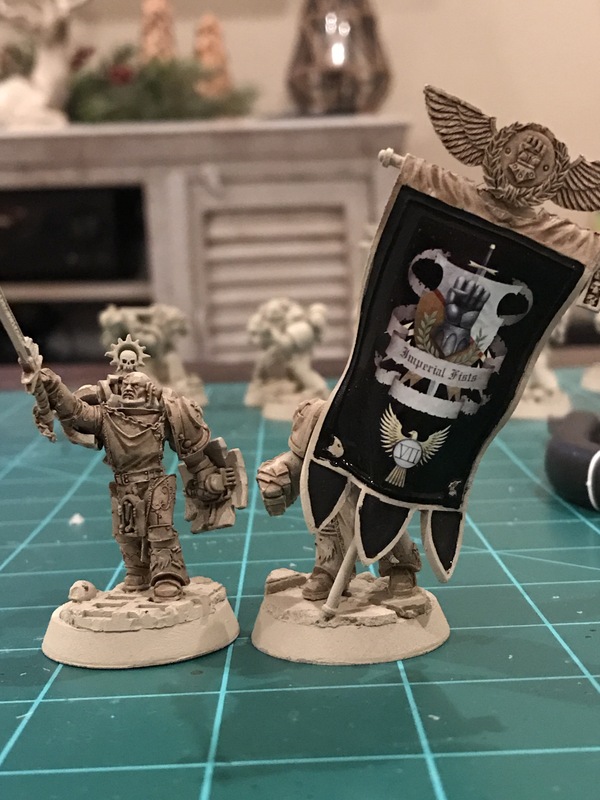 So here’s a little picture dump to hold you over while I get the results of the Kill Team tournament we had at work / school sorted for a blog post. Lots of exciting stuff coming along, as the 5th Company of Imperial Fists (and Tau side project?) grows! Also, a lot of people on Instagram (you are following me, right?) ask me about the bases I’m using. They’re the “Necrose XIII ” set by this company. 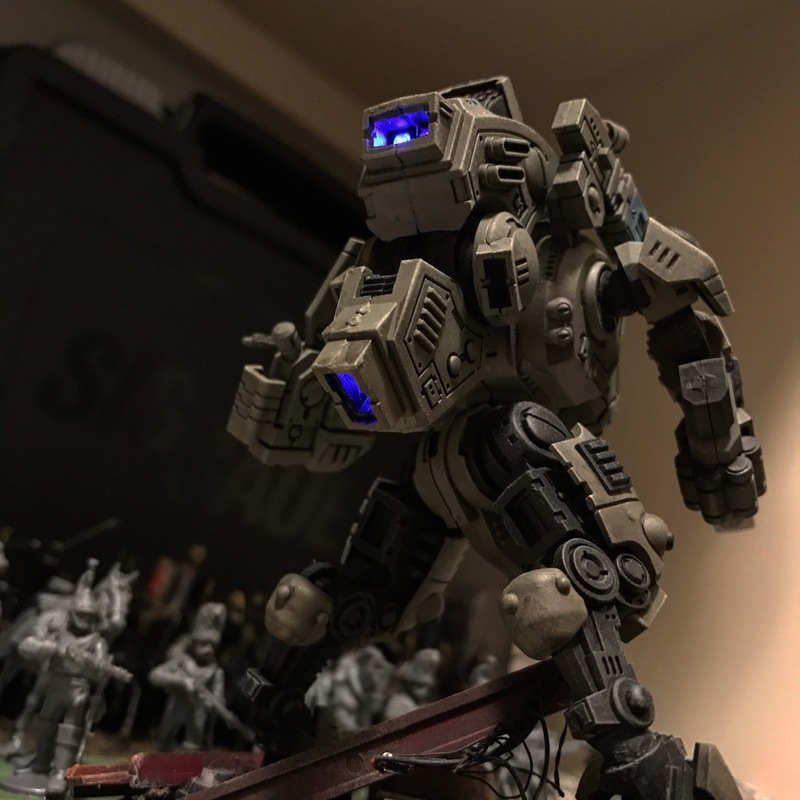 They’re super high quality, and not outrageously expensive – I believe the guy is a one-man operation that sculpts, casts, and sells / ships them himself. No easy task! If you want to send him some business, check out his full line of bases (and other goodies). Champion Nidon of the 5th Co. ready to defend his brothers in glorious battle (check link)! I was hesitant to use Cataphractii in my army, but I like how these guys turned out. I’ll probably make it a larger squad and add a couple more. A stealthy Ghostkeel leads the charge of French Cuirassier and Dragoons (?!). 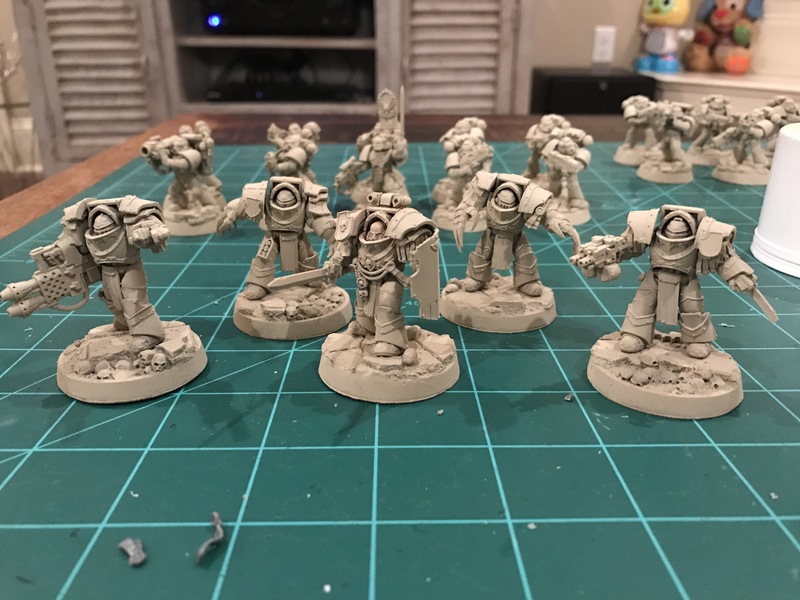 Sternguard Veterans attached to 5th Co. Need to finish their bases and some details. Nidon and his accompanying command squad. Need to build a suitable Captain.